It seems appropriate to close out the writing year with an end-of-year post. At this moment, I don’t have a plan of how this is going to evolve, so please bear with me and stay along for the ride. First and foremost, thank you to those of you who have been reading, especially those of you who may have been around the four and a half years this website has been in existence. Thank you to the various wineries and wine public relations businesses who have sent me samples for consideration. This endeavor is still purely a hobby and I do not earn any money to do this. However, I do believe that this website was one of a few catalysts that led to me living and working in Napa, so this is why I continue to write. The readership of my website has increased exponentially in 2015. 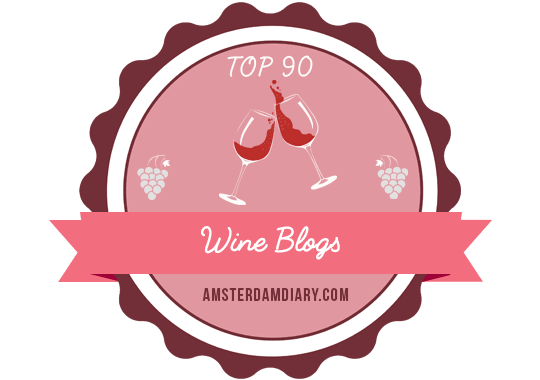 I believe there are a few reasons for this, such as being featured as a top 100 wine blog on a couple of websites such as Wine Turtle and Exel Wines. My writing has also been featured in wine writing challenges and on other websites such as American Winery Guide, Grape Collective, The Drunken Cyclist, Snooth, and Wine Turtle, which has brought new readers to this site. I also won the Monthly Wine Writing Challenge #18 (#MWWC18) with this post. I am forever grateful for this fortuity. I am especially thankful for the opportunity to write winery reviews for American Winery Guide. I have published seven reviews the past four months. While I love tasting and drinking wine, from the very start of this endeavor, I have been called Travel or Traveling Wine Chick, with travel coming first. Travel experiences are my niche. I love sharing my impressions of a winery and/or its winemaker(s), and if a wine tasting review fits, I add it. In 2016, you will see more travel, winery/wine experiences, and follow-your-passion stories in my writing. Themes of travel, winery, and personal experiences dominate four of these posts. As to the Skinny Vine post, I am not sure why that’s still popular, as I was such a beginner three years ago. It is cool to see how far I’ve come, though. The top referrals to my website came from Facebook, Twitter, Wine Turtle, The Drunken Cyclist, and The Fermented Fruit. The latter two websites are written by two of my dearest wine writing colleagues and these connections warm my heart. It would also seem that the next time that I see them, I owe them at least a drink. These were difficult to choose, but below are my favorite experiences and/or writing of the year published on this website, American Winery Guide, and Snooth, in sort of alphabetical order. Most touched me on a very personal level. When I reread these, I feel as if I am reliving the joy and pleasure I felt during the visits and tastings. If you haven’t read them, please do. Better yet, please visit these producers and/or taste their wines. I hope that as we move into 2016, I can count on your support as I transition into a new phase of my writing and wine business career. I am excited about new, unannounced opportunities. Stay tuned. On August 1, 2013, just over two years ago, winemaker and proprietor Johannes Reinhardt opened his own winery, Kemmeter Wines, to the public after being the winemaker at Anthony Road Wine Company since 2000. To read the rest of my review, CLICK HERE, and enjoy my first contribution to American Winery Guide. Thank you for your support and for reading.